Record traffic and revenue have put the Maine Turnpike Authority in a position to withstand the cost of upcoming projects. Record traffic and revenue have put the Maine Turnpike Authority in a strong financial position to withstand the cost of upcoming road-widening projects without raising tolls. The authority maintained an excellent “AA-” rating on its roughly $379.8 million in outstanding revenue bonds in the latest update from Fitch Ratings, one of the leading U.S. bond rating agencies. It received a similar grade from Standard & Poor’s a few weeks earlier. The New York-based Fitch said the turnpike authority has a strong and stable financial outlook, with traffic and toll volumes on the rise and relatively little debt. It assigned a slightly lower, but still strong, rating of “A-” on the authority’s $34.4 million in special obligation bonds. The upshot of those ratings is that they reflect a turnpike authority that is in a strong cash position with the flexibility to absorb future costs. “As far as the eye can see, we have no need to borrow and we have no need to raise tolls,” said Peter Mills, the authority’s executive director. The turnpike’s record traffic volume and revenue during its 2015 fiscal year contributed to the high bond ratings, Fitch said in a news release. Companies such as Fitch issue bond ratings to give investors an idea of how likely it is that the bonds will be repaid in full with interest. Bond ratings also help determine the availability and cost of an organization’s future borrowing. The best possible rating from Fitch is “AAA,” followed by “AA+,” “AA” and “AA-.” The lowest possible rating is “D,” which means the organization that issued the bonds is in bankruptcy, liquidation or has otherwise ceased operating. Given the upward trajectory of the turnpike authority’s revenue, even future borrowing for a lane-widening project would not likely have any negative impact on its bond rating, Fitch said. One reason is that it has the power to increase the price of tolls if necessary, although Fitch said the authority’s current long-term financial plan does not require a major toll increase until 2031. Mills said it is impossible to predict the authority’s actual financial needs that far into the future. However, he said it is certain that the authority will have the cash to fund an upcoming project to expand the turnpike to six lanes from South Portland to Falmouth by 2027 without raising tolls or borrowing additional money. The widening project will be completed in several phases and will begin in 2020, he said. Some isolated bridge and ramp work will precede the widening effort. 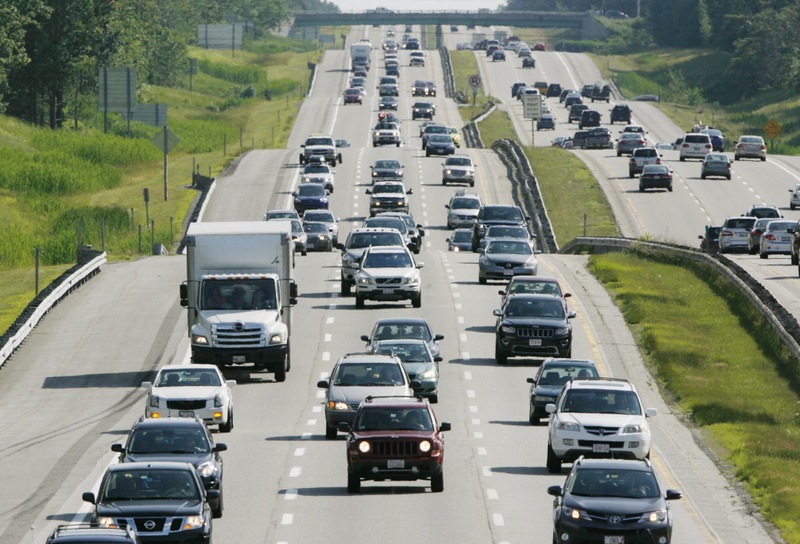 Part of the turnpike’s traffic increase is being driven by a boost in short trips in Greater Portland, he said. With the help of discounts for E-ZPass users, many motorists are opting to pay a small toll to get to their local destinations faster by avoiding surface roads. Another reason the turnpike authority received such high ratings from Fitch is that its operations are nearly 90 percent funded by revenue, meaning that its overall borrowing needs are scant. “It’s pretty easy to get a good rating from a banker when you don’t need to borrow anything,” Mills said. The turnpike authority’s tight controls on expenses also helped keep its bond ratings high, according to Fitch. “Favorably, the authority continues to conservatively manage expenses, with operating expenses falling 0.6 percent in (fiscal year 2015) due to lower collection salaries and less overtime paid to the state police troop,” it said. The Maine Turnpike Authority is a state agency created by statute in 1941 to construct, maintain and operate the Maine Turnpike, which extends 109 miles from Kittery to Augusta.